Extra Vision, as the Extra Group's ERP and business solutions arm, certified NetSuite partner and an Italian localizer that developed the comprehensive Nexil, NetSuite Extended Italian Localization, plays an important role in Oracle NetSuite's EMEA plans particularly in developing the Italian market. In fact, there's a huge drive to provide more localized functionalities for NetSuite. NetSuite OneWorld's latest updates are capable of delivering more global financial capabilities that make EMEA businesses gain better cross company accounting across multiple jurisdictions, have improved auditing processes, shorter financial close times and better experiences when conducting bank reconciliation. Localized product releases have also been planned for the Nordic, Benelux, South Europe and Middle East regions. Aside from opening more offices and establish a stronger physical presence across the EMEA, NetSuite will also be releasing EMEA-specific product enhancements to increase the appeal of the world's #1 Cloud ERP to the region's customers. Last month, NetSuite released the UK and Ireland editions of SuiteSuccess and we perhaps can expect similar developments later. NetSuite also announced the expansion of its SuiteCloud Developer Network (SDN) programme, of which Extra Vision is a member and where it released its Nexil as a Built for NetSuite Native SuiteApp. NetSuite said it is focusing on growing its SDN partnerships with independent software vendors that develop specialized and complementary solution to help extend NetSuite's functionalities across the EMEA. More partnerships means more localization efforts that will benefit the multi-lingual and complex tax and accounting requirements of the region. However, SuiteApps aren't just for localization. Many of them also enrich NetSuite with process and industry-specific functionalities making NetSuite better suited for addressing specific industry needs. Since joining Oracle and pledging to expand globally, NetSuite has revealed that it has quadrupled its EMEA sales force since the start of this year which focused on direct sales forces in the Netherlands, Germany and Sweden and sales teams in Dubai and Qatar to service the Middle East and South Africa. More investments in new marketing, development and service personnel have been made to further localize NetSuite and address region and country-specific requirements. Aside from these developments, NetSuite is also planning to develop a data centre in Germany. 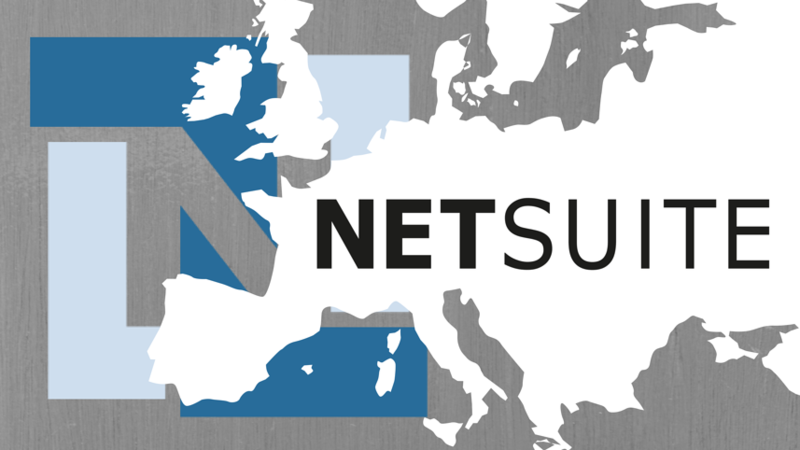 At present, NetSuite has four data centres in North America one in the Netherlands and another in Ireland.